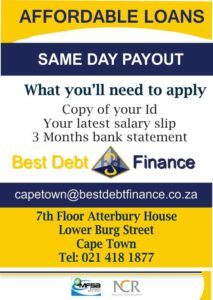 Why take a loan from Best Debt Finance? 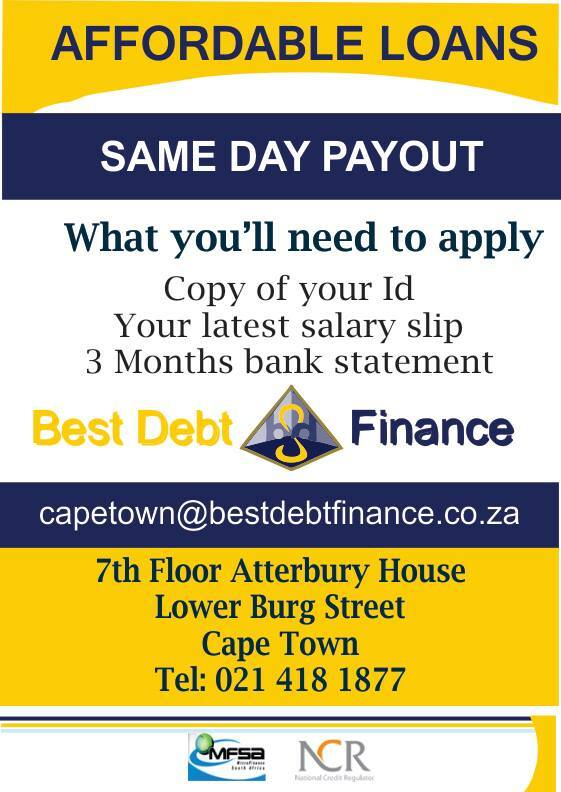 Our service is free easy repayments cash loans. Our pre-approval will determine if you qualify for our easy repayment cash loan and the repayment period. A top up on your loan amount can be arranged after 4 months of payment. You are not liable to pay any upfront fees. Loan approval within 24 hours. Money deposited directly into your bank account. You save time as you are not required to sign various bothersome documents. We do not retain any original documentation. All requested documents can be e-mailed or faxed to us. You must have a bank account against which a debit order can be loaded.